News | Blackworld.com - Connecting the world with Africa. last week, South Africa's President Jacob Zuma said. number of our people die in one incident outside the country," Zuma said in a statement on Tuesday. 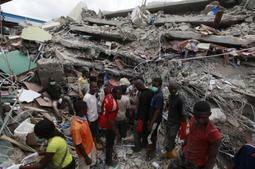 "Prophet" T B Joshua, collapsed on Friday while three extra stories were being added to its existing two floors. There was no immediate explanation for the discrepancy in the numbers.